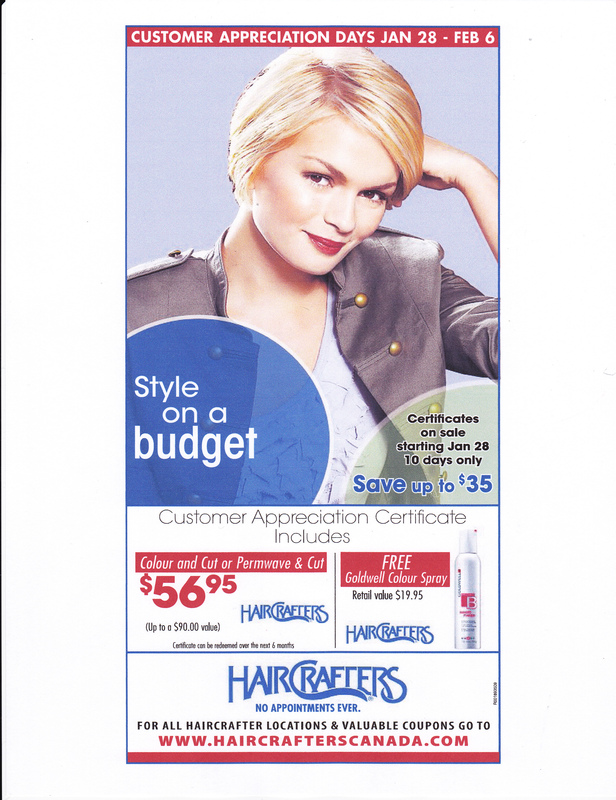 HairCrafters Customer Appreciation Certificates on Sale! Starting January 28 – 10 days only. In 2011 hair is all about revivals and evolution. With styles and colours we’re seeing the best of 2010 reborn, whereas cuts are offering reworked and luxurious revivals of styles that sit perfectly with the year’s clothing trends. The bob is back for 2011, though with a fringe. Taking the lead from the waved hair trends of 2010, the waved bob hairstyle is one of the on-trend ways to style a longer bob (again the trend length) in 2011. This cut was last really popular in 2007. In 2010 it was a haircut all about short sides and a longer fringe, as a 2011 haircut though the pixie crop is short all over. It’s about short sides and an ever-so-slightly longer top and fringe, with the top and the sides blending perfectly. Think the 1960s version of the haircut, popularised by the likes of Mia Farrow and the fashion model Twiggy, or super cool Emma Watson and Carey Mulligan today. Over the next several weeks HairCrafters is bringing you the new hot spring looks. We’ve looked at the collections and there’s lots of cool stuff to make you look, hot, hot, hot! With 70’s sophisticated glamour think dresses that fall like shimmering water in the evening and high-waist pants with elegant blouses by day. There’s an underlying confidence and boldness to this trend that’s key. . It’s in the addition of that floppy felt hat, those exotic jewels, that super-high pair of platforms — think Bianca Jagger.